Want to take your family away with the fairies? Travel writer and mum Susan Morrell picks 10 places to chase a little magic in Ireland. Why: The palatial setting of Wells House and Gardens makes for an atmospheric fairy trail for nature-loving families. Download the Nature Bucket List before you arrive and your little explorers will not only be on the lookout for fairy doors and The Gruffalo, but also counting fish, chasing butterflies and crafting crowns of daisies along the way. If you can squeeze it in, the converted stables now house the Craft Courtyard, where local artisans sell all manner of gift-able goods. If the kids are still raring to go, there’s an adventure playground and animal farm, too. Bite to eat: Grab a bowl of seafood chowder at Mrs Stone’s Restaurant on site, which features a kids menu with €7.50 meal deal. 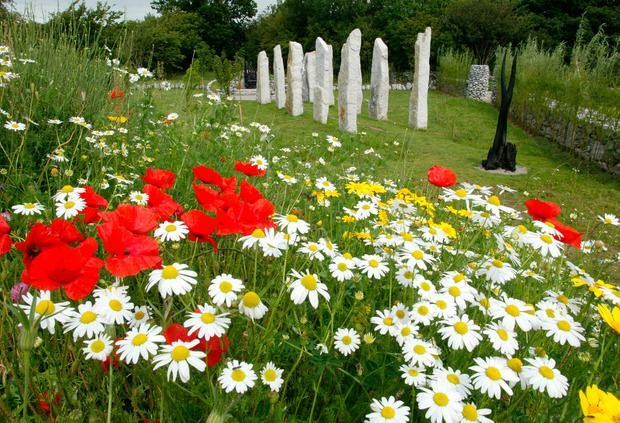 Why: This award-winning garden complex, whose name is inspired by both St Brigit and the Celtic goddess, is a dreamy place where kids can learn about the role of nature in Irish folklore and mythology. Not only is there a fairy trail, you’ll also encounter an ancient ring fort (a likely dwelling for countless fairies over the centuries), thatched roundhouse, crannóg and four large gardens inspired by the seasons. Plus, there are trails (some buggy-friendly), a natural playground and massive sundial. Bite to eat: When bellies rumble, head for the on-site café and its eclectic menu of Irish and French dishes made from produce from the gardens. Your “elves and fairies” can feast from their own substantial menu. Details: Open daily 10am-5:30pm; adults €8, kids €5, families (2+2) €24, under-3s go free. For more fairy wings than you can shake a wand at, catch the Elves and Fairies Day event on August 19. See brigitsgarden.ie for more. Where: Slieve Gullion Forest Park, Newry, Co Down. Why: You may have a hard time getting your little sprites to leave this storybook setting in the woods of Slieve Gullion. Dancing willow figures, the Giant’s upturned table and chairs, rope bridges in the Fairy Kingdom; it’s enough to turn any screen-addicted naysayer into a believer in magic. The boardwalk paths (try baby in a sling) and free admission make it a delight for parents, too. Beyond the Lair there’s the adventure park, nature trails, wildlife pond and a passage tomb, and you can explore the Ring of Gullion with the surrounding 10k scenic drive. Bite to eat: Before you leave, refuel at the on-site outlet of hip Northern Irish coffee chain Synge & Byrne Café, for your flat white, ciabattas and bakes. 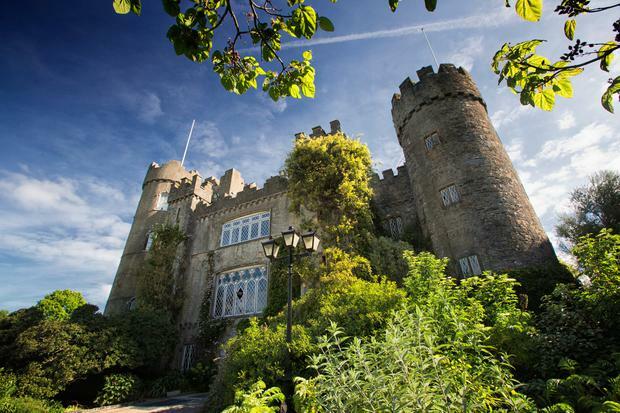 Why: With its 12th-century castle, gravestones and walled gardens, Malahide Castle oozes historic charm. Pace yourself: there’s a ton to do here and in the village, not to mention the playground (free of charge) that seems to have a magnetic pull on children — just try getting them to leave to catch a train. My four-year-old and I did a condensed version of the 1.8km fairy trail, making time for a picnic amongst the trees and animal statues. Older kids and those truly mad about fairies can handle the full trail, figuring out clues and filling in their booklets along the way. For me, the real magic was catching my son whispering his wishes on the carved wishing chair. Finishing our day building castles on Malahide Beach was just icing on the summer cake. Bite to eat: There’s an Avoca on site, or if you fancy Italian with a seafood focus, try Al Fresco in Malahide village (alfrescomalahide.com). They have a kids’ menu and baby chairs, and can cater for coeliacs and vegans, too. Why: How about some magical displays of nature? The 360 degree views from Tullan Strand — taking in Mullaghmore and the Slieve League Cliffs — is enough to stir the heart. The dramatic scenery is given extra sparkle by the naturally formed sea stacks known as the Fairy Bridges and a rock-hewn wishing chair, which has been drawing visitors in search since the 1800s. 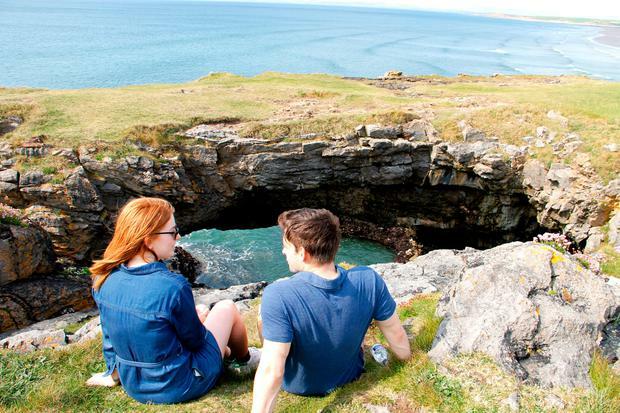 Some rather famous bums are said to have sat here, and the Fairy Bridges featured as one of your Top 10 Hidden Gems in our 2018 Reader Travel Awards, so why not cap off a bracing seaside hike with a well-earned wish (it seems to have worked for surfing champ Kelly Slater!). 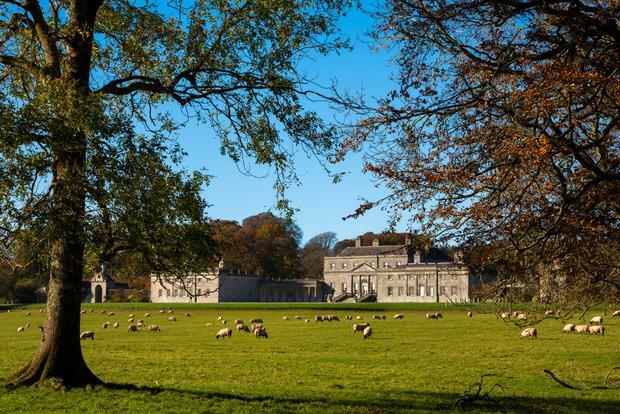 Why: Little fairy-hunters will love Russborough House, where there’s enough to fill a whole day and you can even bring the family dog. Lifts in the house, buggy-friendly trails, playground and accessible toilets are added conveniences for families, but really it’s all about Lady’s Island, home to Faylinn and his cohort for more than 270 years. If it’s possible to get your fill of fairy fun, spend the rest of the day rambling the wildlife trails, going a bit Hogwarts at the National Bird of Prey Centre or getting lost in the beech hedge maze. Bite to eat: Refill hungry bellies from the kids menu at the Tea Rooms, a Brambles outlet. Details: Open daily 10am-6pm; family ticket (2+4) for the parklands facilities, including fairy trail, walks, playground and maze €15; under-5s go free. Other facilities ticketed separately. See russborough.ie and visitwicklow.ie for more. 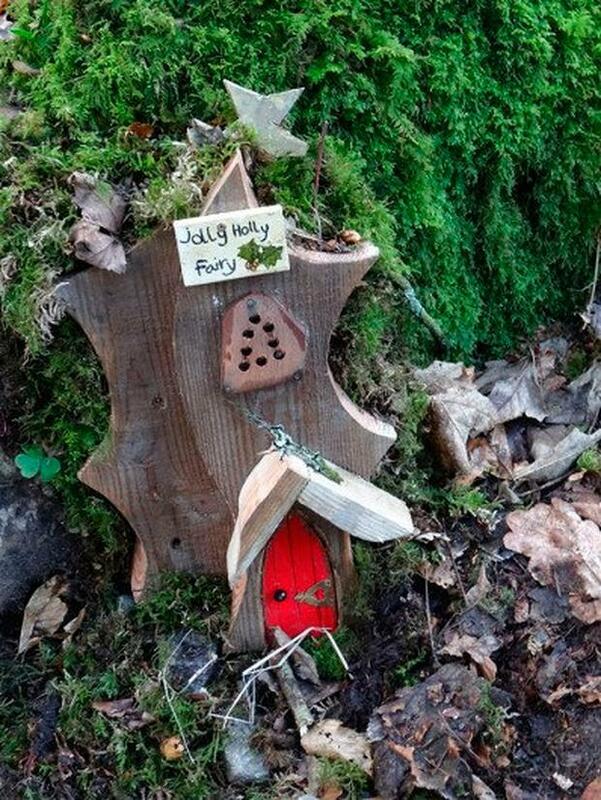 Why: Pack a lunch and head to this public park where kids can discover fairy doors dotted along a self-guided trail. 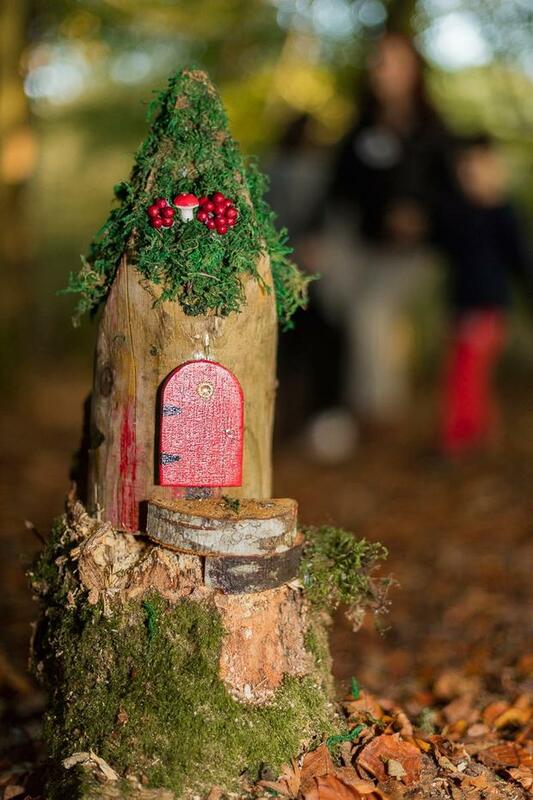 No special map required, just let the little ones ramble and count the fairy houses created by local artist Aisling Hassett. There’s also a playground, lake and bug hotels around, plus picnic tables, buggy-friendly paths and free parking to make it a stress-free affair. It’s open every day and free to visit. Bite to eat: If you’re still hungry later on, drive three miles to Loughmore village to visit the Cottage Tea Rooms (0504 35846; or see Facebook), a community co-op and true slice of rural village life, which won the title of Best Tearoom in Ireland in 2014. Where: Lough Boora Discovery Park, Co Offaly. 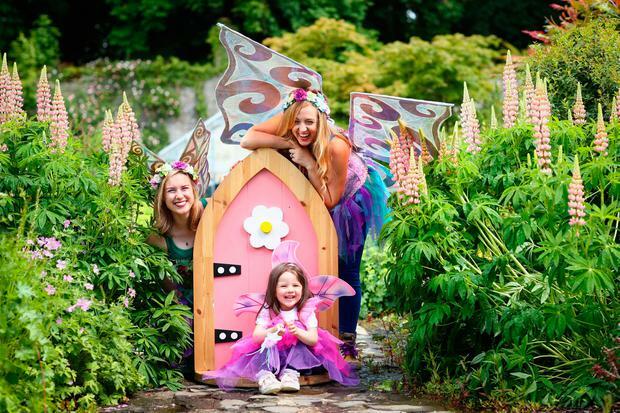 Why: If the woodland fairy trails at Lough Boora Discovery Park aren’t enough to satisfy your little ones, up your sparkle game at the annual Fairy Festival (July). With three stages of fairy tales, puppet shows and fairy note writing, there’s plenty to get the whole family in a spritely mood. You can even learn some magical dance moves at the fairy disco. Don’t forget your fairy wings (you too, mum and dad) because everyone is encouraged to don their sparkliest threads for an attempt to break the world record for the largest gathering of fairies. Bite to eat: A café at the Visitor Centre opens daily in summer and on weekends in winter months. There are loos, changing facilities and a picnic area, too. Why: How to improve on a day out with the fairies? Try adding a pony ride. At Slieve Aughty — an eco-centre with kid-friendly activities like toddler playground and donkey trekking, and guest rooms without TVs — families can opt for a pony ride to the Enchanted Forest, where the resident fairies live. Kids get a forest map, wishing tree hanger and fairy dust for the sprinkling. Bite to eat: Make a day of it with a meal in the Three Towers Organic Kitchen, with produce grown on site. Or stay longer with overnight rates for a double room in the Eco House starting at €140 a night in July. Why: This gorgeous fairy village has an inspiring origin story, built in loving memory of Erica Ní Draighneain, who sadly lost her battle with cancer at the age of five. Created by her parents with support from the local community, the result is a technicolour testament to Erica’s heartfelt belief in the magic of fairies. 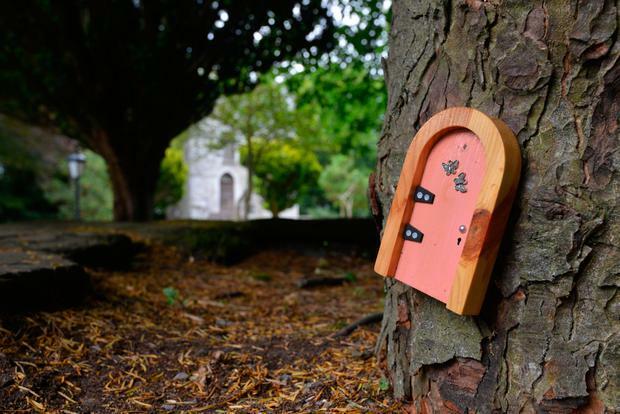 The serene walking trail is populated by a colourful cast of resident fairies, with plenty of tiny doors, hobbit houses and whimsical displays that change with the seasons. This community-driven project is a real heart-warmer. Bite to eat: The Errigal Country Hotel (errigalhotel.com) does a kids’ carvery menu on Sundays, or for a foodie treat nearby, book a lunch or dinner at the Olde Post inn in Cloverhill (theoldepostinn.com). For a magical family break, try The Dunloe. The newly refurbished, five-star Killarney hotel has family suites and a new fairy trail winding its way around the hotel’s gardens and playground, all amid epic Kerry scenery. Family rooms from €330 per night B&B (2 + 3); thedunloe.com.